Cut a 2cm width strip from Kaisercraft paper for the spine of the card. 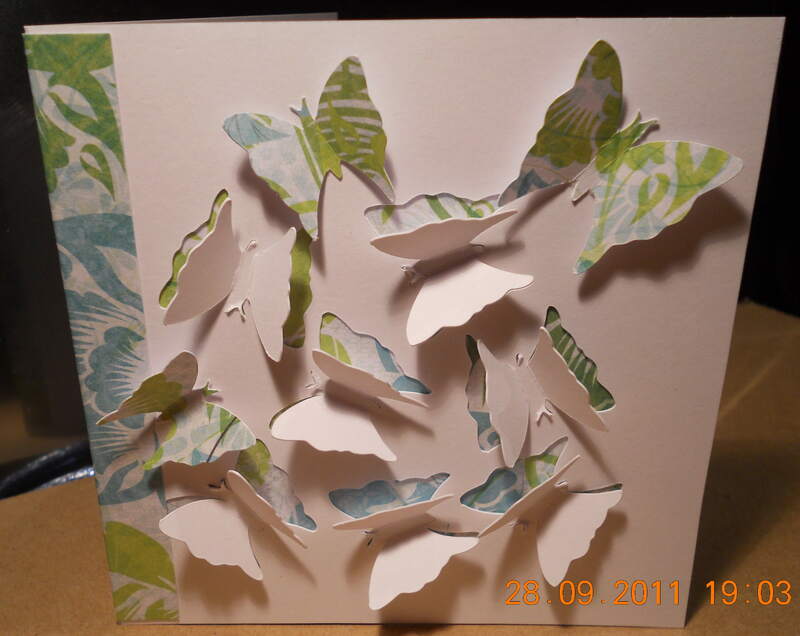 Cut butterflies on white stock card, making sure that the body of the butterfly is not cut and only the wings are cut. 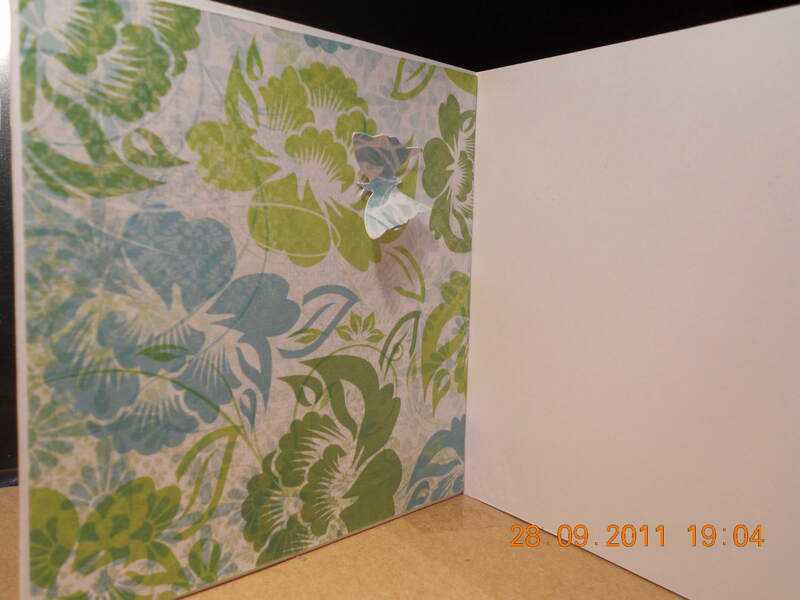 The wings are then folded slightly away from the card for a 3D effect. 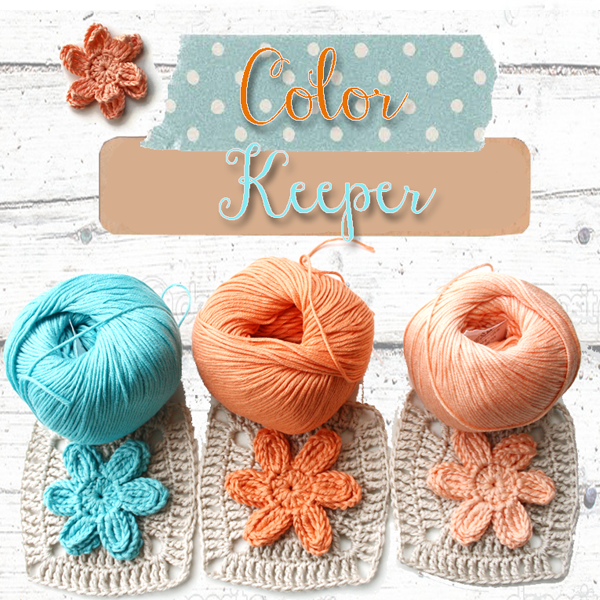 Place a Kaisercraft paper behind the front of the white card so as the pattern will show under the wings of the butterflies. 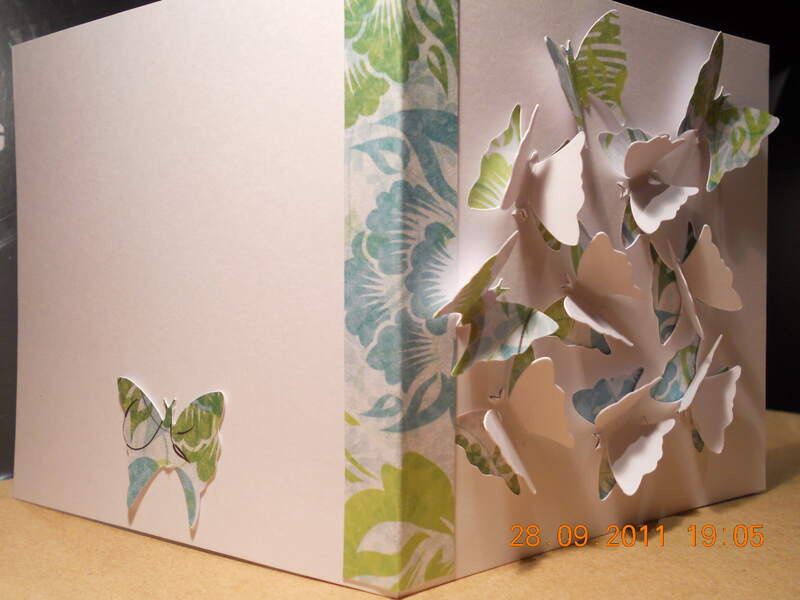 Cut more complete butterflies from the Kaisercraft paper and attach to the front of the white card. Add one to the back of the card and inside the card.